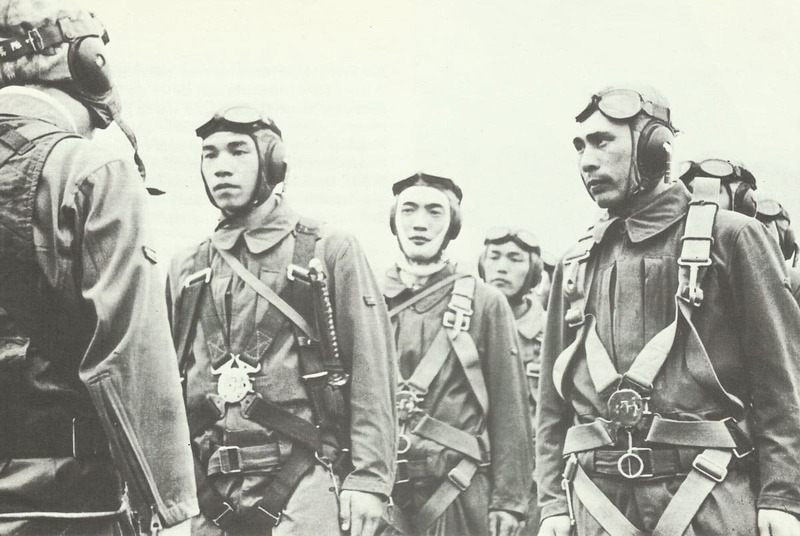 Japanese aircraft crews during the last briefing before the start. Pacific: Hawker Hurricane fighters destroy 8 Japanese bombers over Singapore. Nakajima Ki-43 Oscar fighters shoot down 5 Hurricanes over Singapore. 120 Japanese aircraft attack Rabaul: 7 Australian Wirraway army co-op aircraft intercept A6M2 Zero fighters, destroy 3 and badly damage 2 others.